Corporate an industry of glamour, a industry for showing the status, so hiring a corporate limo service could give you the advantage when it comes to impressing your associates. We all know the first impression is definitely the last impression. Corporate Limo Service are comparatively expensive but it increases your chances of creating a positively image about yourself and your business. You’ll really notice the difference in the behavior of your clients when you hire executive limos or business limos. Even after paying a huge amount of money, many business travelers traveling around different countries often complain of very poor transport services. For renting the business limos for a fixed time period helps the travelers to bargain for the prices with the limousine operatives and companies do not need to look for vehicles in an emergency. If you have a client from another country visiting your office, you can send a corporate limo to pick him up from the airport. This assures your professionalism and focus on client comfort and satisfaction. Client satisfaction is the main business goal of entrepreneur. Even when you have to reach a client location, hiring an executive transportation makes sense as it eliminates the stress of driving and traveling. When a professional chauffeur wait for you on time, you will feel less stressed about the journey, and the luxury and comfort of a limousine will ensure that you arrive at your destination looking and feeling fresh and ready to work. Gemini Limo Service is a Maryland based limousine company, serving the Washington DC, Maryland, Virginia and surrounding areas. Gemini Limo Service corporate limo fleet includes a range of stretch limousines and luxury sedans that are fully equipped with the most sophisticated amenities. 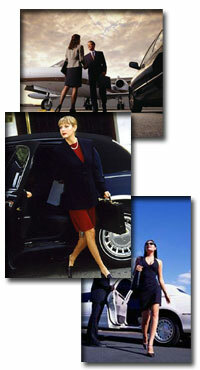 Gemini Limo Service provides door to door service to and from any airport, or Washington DC. 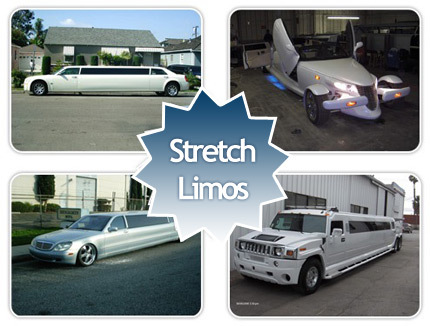 Gemini Limo Service offers a variety of vehicles to accommodate you and your guests’ transportation needs. A properly well dressed, well trained chauffeur will help you assist with luggage, and get you to your destination on time, safely, and worry free. When requested in advance, Gemini Limo Service can arrange for a greeter to meet arriving clients, friends, or family inside the airport terminal. With a state of the art Livery System, Gemini Limo Service can book and confirm trips, track flights, and receive information and receipts electronically via the internet, minimizing errors. By providing extra ordinary limousine service for the corporate sector through the years, Gemini Limo Service has gained the insight and experience to satisfy clients’ expectations of a corporate transportation company. Gemini Limo Service caters to individual or large groups of clients, for road shows, seminars, business meetings, or any occasion or event that may arise in a truly professional manner. Establishing a corporate account will allow Gemini Limo Service to marshal efforts even more efficiently to apply high standards of service to clients’ executive transportation needs. Gemini Limo Service boasts the latest in livery software that allows dispatchers and reservation agents to set up corporate accounts and instantly send e-mail or fax confirmations to clients. There are a huge number of drivers fail to pass for a limo chauffeur every year. It is a profession that requires many skills to succeed. Driving is primary and irreplaceable skill. However, it is not enough. There are much more qualities that a good chauffeur must posses and learn to become a professional qualified limo chauffeur. A limo driving is not the same deal as driving a cab or a school bus. For becoming a limo driver, the person should learn many things to fit into the standard of luxury transportation. It will help you with your employee and will set the standards of the service you provide to your customer. Also, after getting the positive response for a chauffeur driving and service to the customers, the company will reward him/her with higher earnings. A good professional chauffeur will always treat the client with respect and treat the client’s wishes as a top priority. Our main goal should be arranged a perfect trip for our customers as we can do. That includes the temperatures in the limousine, the type of the drinks includes or the style of the music that is playing. Small details will definitely make a difference. However, sometimes the wishes of the client must not be fulfilled. If the client asks you to go over the speed limit or do any other illegal mover, the driver must not obey. Safety of the client is more important than couple of minutes of saved time. After the limo chauffeur learns how to serve the customer with top priority and respect he/she can start looking deeper into the short but important relationship between the customer and the chauffeur. The driver must learn how to read the customer without asking. However, this skill comes with experience and years. The chauffeur should be well known about the areas and localities; he should not have to ask to the customers where he wants to go! Take a look at the essential skills that a good limousine chauffeur must posses. It applies both for the experienced chauffeur as well as for the beginners. – Always introduce yourself. If you are on a long run or a charter, give the client your cell phone number. – Always open the door for the customer. If there is luggage, help load the luggage. – Always help disabled people and elderly clients. – Always dress well. Black/white are the best colors if the company does not tell you otherwise. Dress in a suit or a tuxedo for weddings. – Clean your car before every run. Get new ice if it melted. Get new drinks if you ran out. – Be always polite. Address the customer by Mr. or Mrs. and say thank you. – Be strong and confident. Never act against the law and be in charge every minute of the run. – Never argue with the client or use profane language. – Do not talk with a phone with a client in the car. However, if you must speak with dispatch, make it as short as possible. – Never ask the customer for direction unless it was specified upon the reservation. – Never stop for gas or to make a bathroom break. – Never act against you company. Do not complaint to the customer about your job. – Act as a salesman. If the client asks you about your work, your job is to sell the company and yourself to the client. Allen Pradhan invites you to travel with Gemini Limo Service. Gemini Limo Service is the leading chauffeured limousine service provider in the Washington DC and Virginia Areas. We offer DC Limo Service with luxury sedans, stretch limousines, SUVs, limo and party buses. Call today and book your dream Limo service in Washington DC with Gemini Limo Service! The momentum that might want to seize admiration and high esteem don’t start at the outset of the bride’s ascending the stairs and how she could possibly pose on that day in a wedding place. Sharing a special moment in a big, fancy professionally driven car can be extraordinary. Most people might want to experience toasting champagne glasses in a chauffeured Gemini Limo Service that had long ago established the symbol of comfort, power, and wealth inside and out of the Washington DC, Maryland and Virginia. Fantasists, who can hardly afford to own one, go for a Gemini Limo Airport Limo rental service which is fairly within their means. Most people who have tasted being treated like celebrities or royalties could mark such experience as one of their unforgettable encounters. 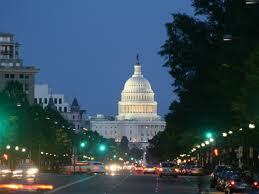 Gemini Limo offers limo service in Washington DC and surrounding areas. Washington DC is one of the most visited cities in the world and our Cheap Limo service do whatever it takes to make our client happy. We are providing the best kind of service which is simple and affordable. We offer our limousines at extremely low rates to allow everyone to make a comfortable journey. Our fleets consists of Luxury Sedans, limousines and passenger Vans. Once a particular preference is had, the client must book the vehicle with the company of his choice, so that wealth-icon Gemini Limo Service car could now be reserved in his favor. At least three hours before experiencing the much awaited remarkable ride with a luxurious DC Limo service, call the company again to ensure promptness of service. Gemini Limo Service is a company which provides all types of ground transportation services in Washington DC, Virginia, Maryland and surrounding areas. Renting a Gemini Limo Service for some special occasions like wedding, birthday, spots event, Proms, and other parties of sort, is one; and choosing the right DC Airport transportation Service to cater certain needs is another. The price or cost of the rental is on top of the list to consider; second is the kind of service offered. Are there any things to contemplate on before finally calling your favorite car rental service? There are concerns equally important to mull over. What can a Gemini Limo Service do to exude all the beauty of Venus or Aphrodite? 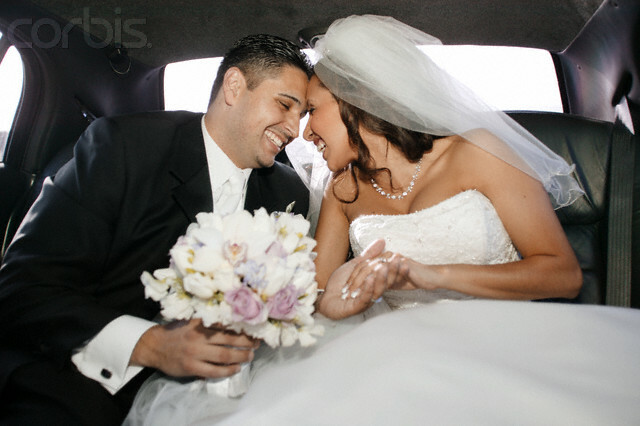 Using a Gemini Limo Service to Washington DC Airport Limousine as a bridal car does not alone connote as an added spice, but a completion of the much awaited occasion of life – the wedding. Initially from taking the step board of the DC Airport Limousine car, the bride is given the queen- like treatment by the distinctive decorations and amenities the luxury car has to offer. The bliss has started flowing until the bridal coupe eventually stops; and the tuxedo ed chauffeur, whose hands are neatly covered by white gloves, gently opens the back door for the bride. What an introductory ceremony it is to have such a luxurious experience! One might not need to own a Gemini Limo Service to go through this. There is DC Limo service companies that offer an excellent service for a reasonable price. The partners need only to think of what color would match their motif. There are varieties of Gemini Limo Service cars that someone could choose from- whether he wants one with a hot tub or a simple arrogance to squeeze up the wedding moment. There are varieties of Gemini Limo Service for hire in the online and offline market. Identifying specific need shall perfectly lead to pinning down the genre to suit one’s choice. Determine what kind of occasion the Gemini Limo Service will be used for. Would it be for airport transport service, weddings, friends’ night outs, birthday parties, Proms, holiday trips, concerts, meetings with colleagues or clients, and particular dealings? Gemini Limo is Luxury Sedan, Limousine and Van Service Provider – We offer DC Limo service, limousine hire services and luxury limo rental at extremely low rates @ http://www.geminilimoservice.com or call at 1800-515-0076 without any cost!